Tasmania’s MONA FOMA event (that’s the Museum Of Old & New Art’s Festival of Music & Art, or MOFO) is packing its bags and moving north. 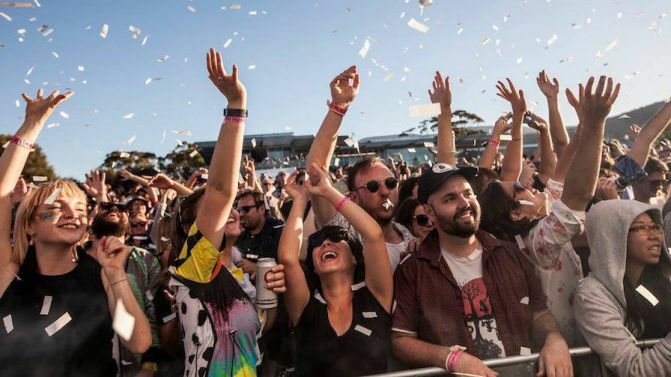 Organisers have confirmed that the beloved event will relocate from Hobart to Launceston as of next year, announcing a whopping three-year funding commitment of $1.75 million annually from the Tassie government. MONA co-CEO Mark Wilsdon says the decision came after “Launceston really embraced the mini Mofo we held across the city in January this year”. “Around 5,000 people turned up to our free Block Party at QVMAG,” he continues. “It’s a mammoth task to take an entire festival like Mona Foma to a new city. We weren’t interested in putting together a watered down Mona Foma. This funding means we’ll be able to do it, and do it properly. Wilsdon also reveals that planning is well underway for Mona’s Launceston debut next year. “Our curatorial team, led by Mona Foma Curator, Brian Ritchie, is working hard on locking in the line-up for 2019. We’re working closely with Launceston’s arts, tourism, education and business communities as we plan for our next festival, and it seems that everybody is up for it,” he says. Mona Foma will be held in January of 2019. Festival dates will be announced this August, with programming announcements to follow later in the year. Meanwhile, Mona’s sister event Dark Mofo has come under threat from the Lord Mayor of Hobart, who’s threatening to cut funding and “put the brakes” on the controversial festival, which is currently underway in Hobart.